Gill's bibs are made of a durable, 3 Dot™ hydrophobic laminated moisture-management fabric with a hydrophilic coated layer that transports moisture away from your skin and fully taped seams so they’re 100% waterproof, windproof and breathable. 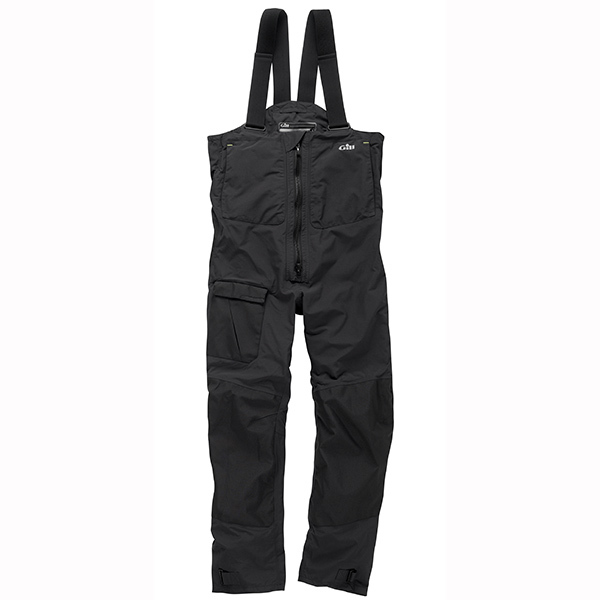 They are performance cut with articulated knees and include adjustable suspenders and elasticized waist for improved fit, two-way zipper with deep internal gusset, deep cargo thigh pocket with secure closure, fleece-lined handwarmer pockets, adjustable ankle closures and abrasion-resistant panels. Imported.